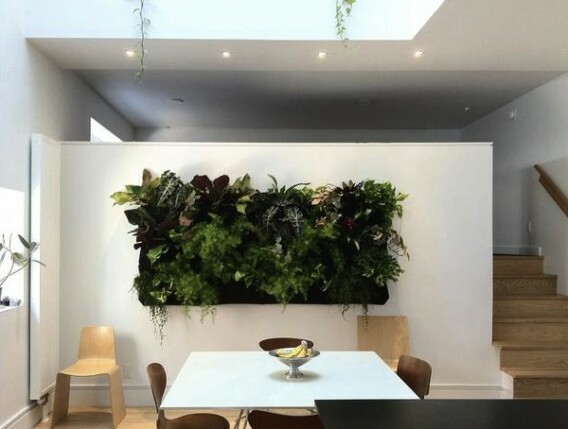 I’ve mentioned some of the various living walls available for home interiors — Fyto Wall, Woolly Pockets, Minigarden, Ballavaz, Urbio, etc — and most of these require a modicum of wall structure and planning for light and water. Along these lines, The Wall Street Journal recently took on the topic of living walls and how various pockets, trays, and assemblies are being used inside for home decoration. Lindsey Hutchinson and husband Todd — both with design backgrounds and a passion for gardening — decided to build “green curtains” or exterior trellises covered in edible vines, according to the Statesman. 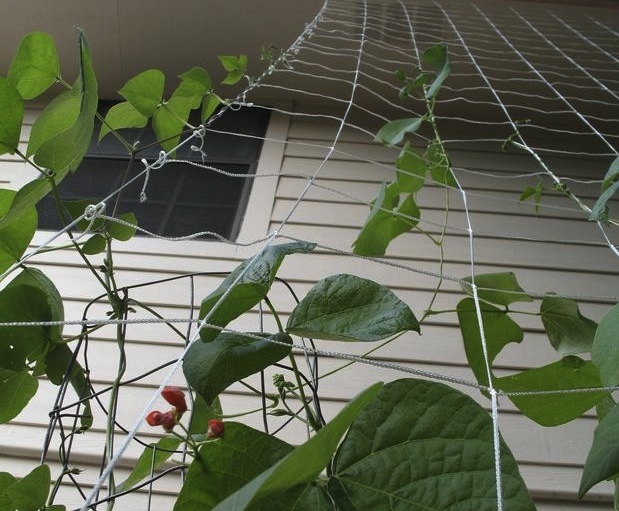 The 15-foot living walls will shade the home and rain barrels from the sun, but the Hutchinson’s also intend to harvest the vines for grapes, passionfruit, and Scarlet Runner Beans. 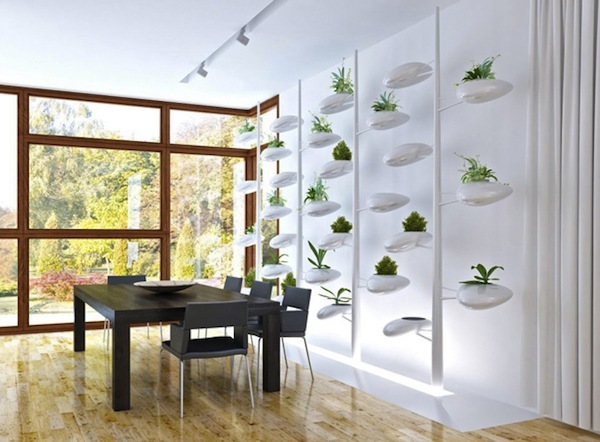 Thusly, these green curtains perform double duty in the form of food production and energy conservation. What a great idea! 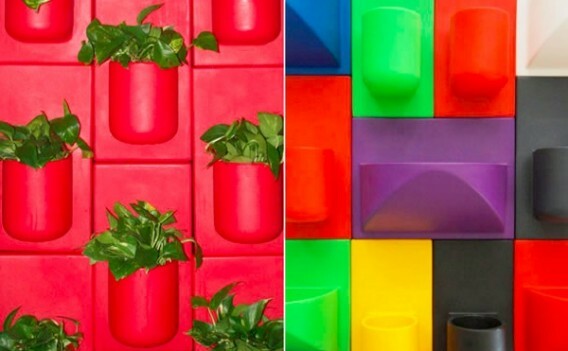 Along the lines of Urbio or Minigarden, check out these new modular wall planters by KuL Studios made with recycled HDPE plastic. 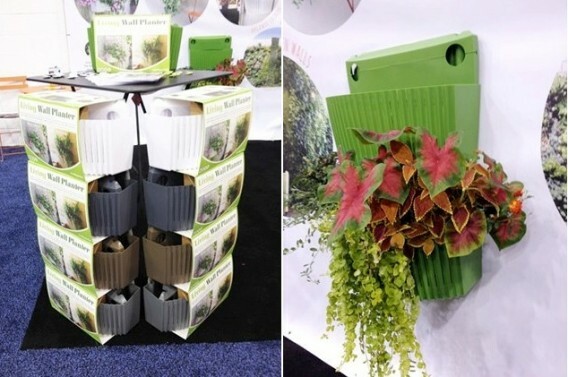 Called Ballavaz, the planters can be used indoors or outdoors and are available in 10 colors. KuL offers two sizes, 24″x12″ and 24″x18″, which mount with screws or hooks. 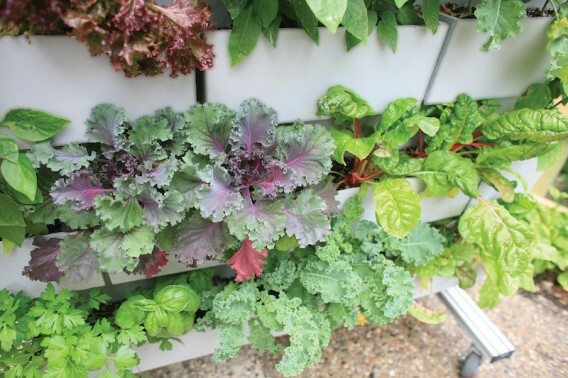 Ballavaz include a concealed recess for drip irrigation — making these just right for herbs, veggies, and maybe a flower or two.